Mak’s Chee wonton noodle is finally here in One Utama Shopping Mall, Malaysia. 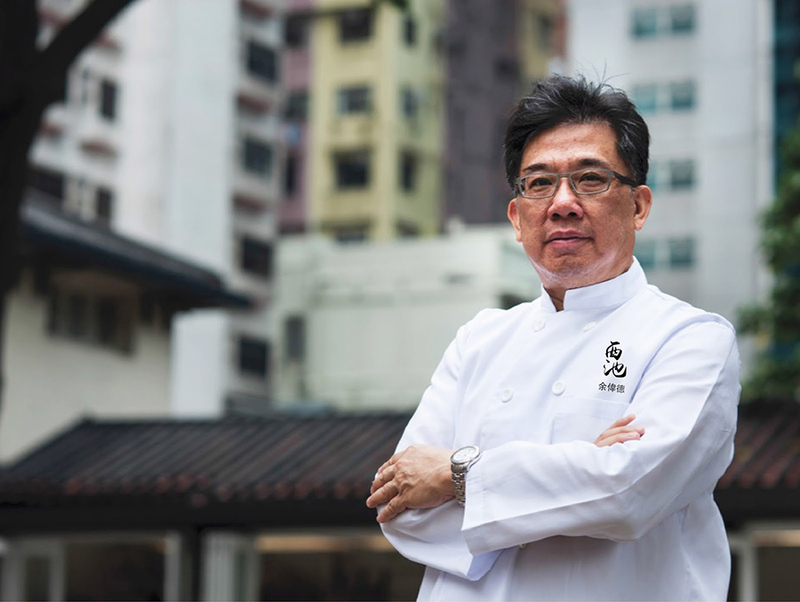 The brand, which holds 100 years old recipe of the Mak’s family, is taking over their delicious springy egg noodles with fresh, bouncy prawn wantan into the country. 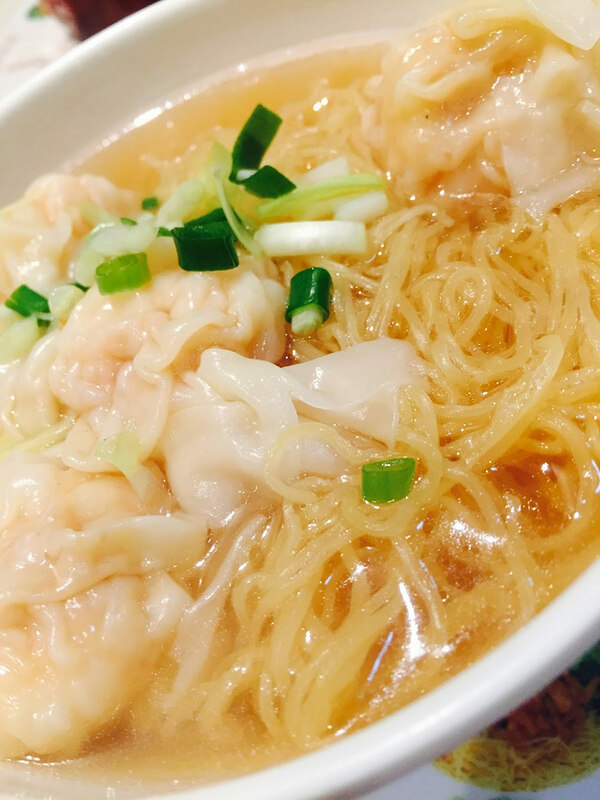 Now, you no longer need to wait for a trip have to Hong Kong to enjoy the famous Mak’s Chee wonton noodle. Enjoy anytime at 1Utama. Mak’s Chee menu covers few variety of noodles, in soup and dry base. Among them included Noodle with Signature Sea Prawn Wonton, Noodle with Prawn Dumpling, Noodle with Braised Beef Tendon/Beef Brisket, Noodle with Sweet & Sour Pork, Noodle with Dried Prawn Roe Sprinkle/Har zi Meen, Noodle with Shredded Ginger & Spring Onion, Noodle with Hong Kong Kailan, Signature Prawn Wantan Noodle ( Sai Yung) Soup, Braised Beef Tenderloin/Beef Brisket Noodle Soup, Prawn Dumpling Noodle Soup, and more. Food price is below RM20. Asking which one is their signature, it is hard to decide. Probably all is worth trying. 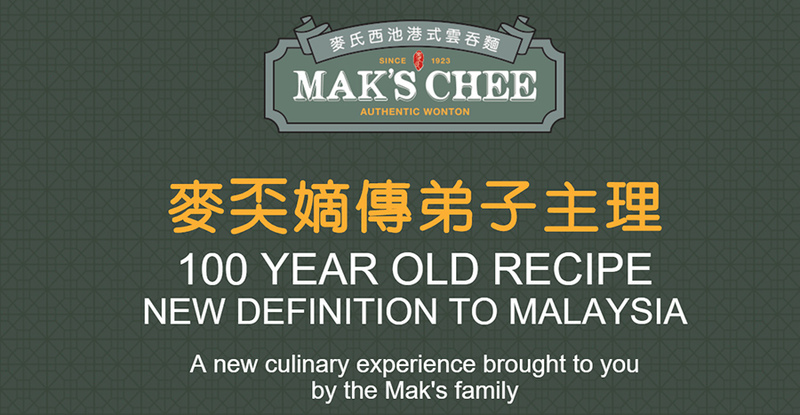 Mak’s Chee in Malaysia is managed and operated by Johnny Yu, the grandchild-in-law of Guangzhou’s King Of Wonton Noodle, Mak Woon-Chee. All food preparation is strictly adhere to the century ‘s old recipe to ensure the best quality, and authenticity of this famous Mak’s wantan noodles.